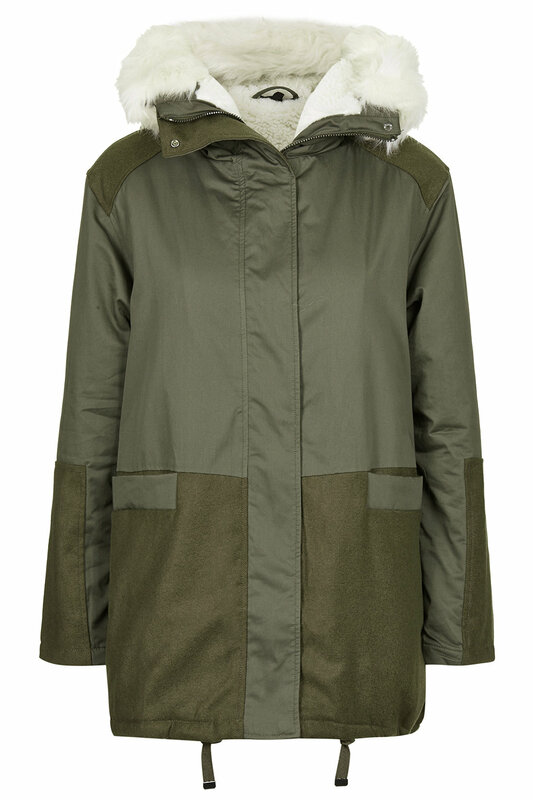 Borg lined parka, £89, Topshop. With its luxurious fur lining, this coat is crying out to be snuggled up in. Straight black coat, £129, Zara. 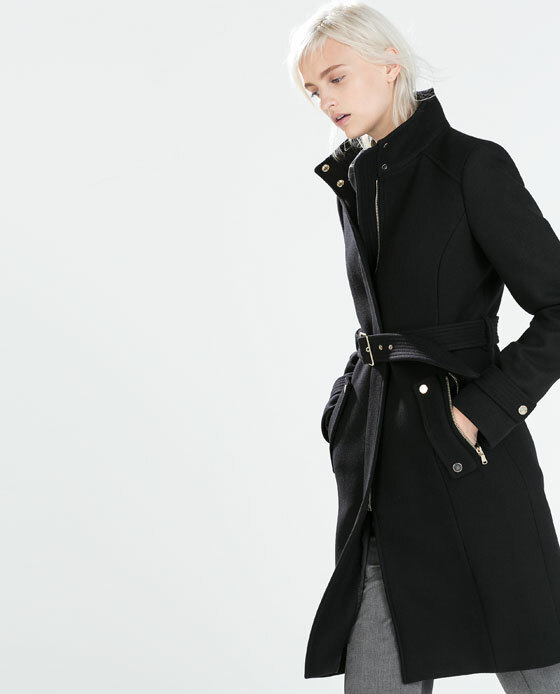 A classic straight black coat with added interest and style in its little details. Religion wicked coat, was £175, now £100 on asos.com. The independent East London label specialises in deconstructed silhouettes shown in this 60% wool coat with a wrap front, button fastenings and a concealed zip. 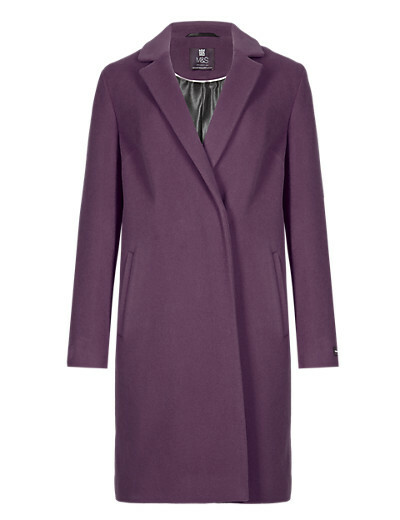 Aubergine wool blend coat with cashmere, £120, Marks and Spencer. This sleek minimalist design is available in a large variety of colours – from neutrals to bright orange, pink or green for the more adventurous. 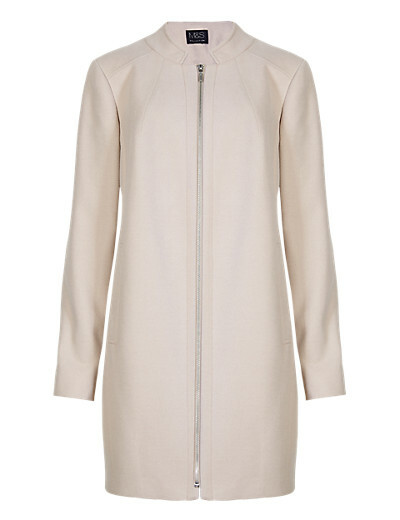 Notch neck zipped coat, £59, Marks and Spencer. Chic little piece.